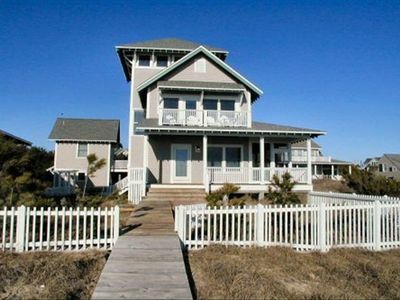 Enjoy your family’s most treasured time together in our spacious Beach House located on the quiet East End of the beach. 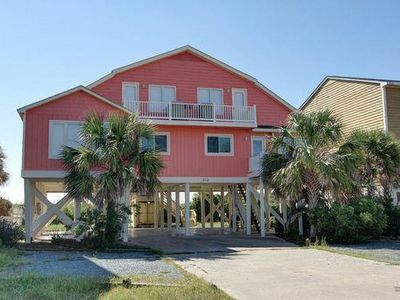 The house is located on 2nd street but just a short walk across the street to your own private beach walkway. 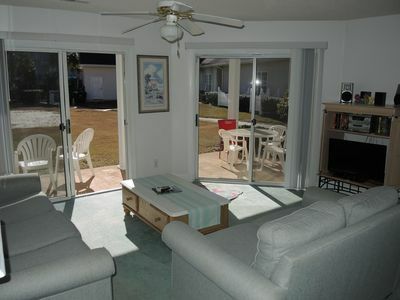 The pool area has plenty of seating and a covered dining area. 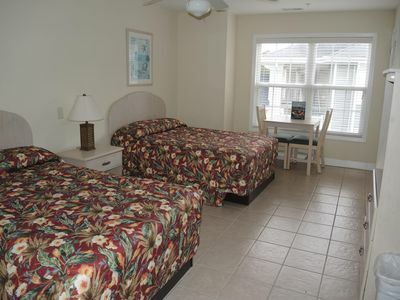 Enjoy steaks and hamburgers at the pool side gas grill. 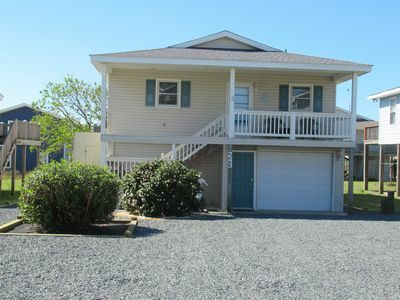 There is a down stairs storage room with a refrigerator, Corn Hole set and many other amenities. 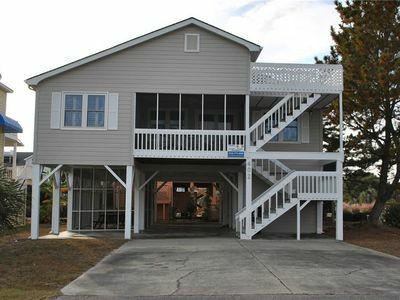 There are 2 large spacious decks to enjoy viewing of the ocean and the Shalotte inlet. 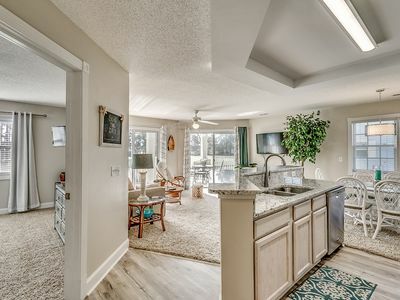 There is bonus viewing of deer in the meadows behind the house. 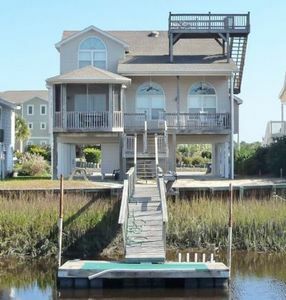 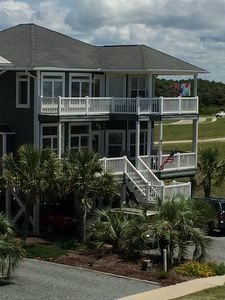 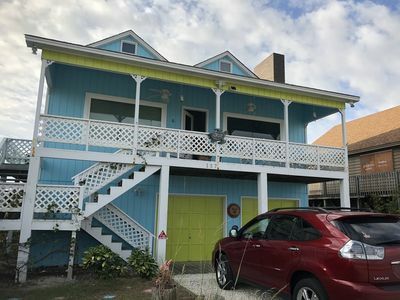 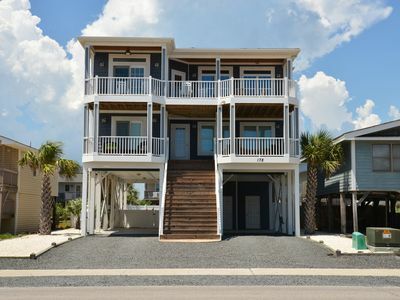 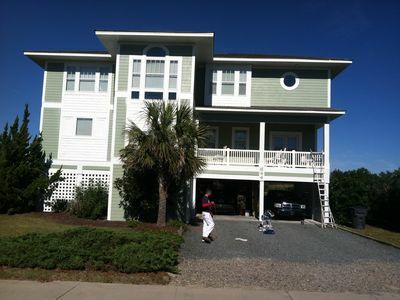 When you are not, swimming, surfing or shelling on the beach or just sitting enjoying the views you will be able to enjoy any of the many golf courses located within a short drive of Ocean Isle. 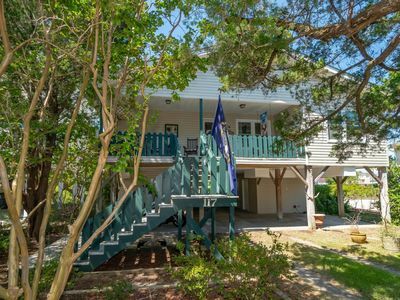 The lack of congestion of the East End gives you plenty of room for biking thru open areas and down to the Coastal Waterway to enjoy the fishing dock, clamming, crabbing or just watching boats and enjoying the tranquil atmosphere. 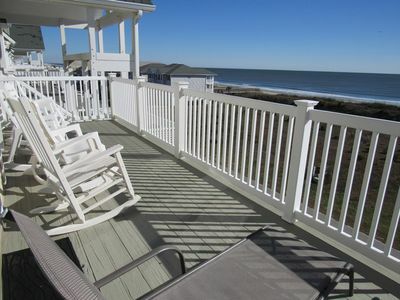 Deckadence: Great Views, Great House! 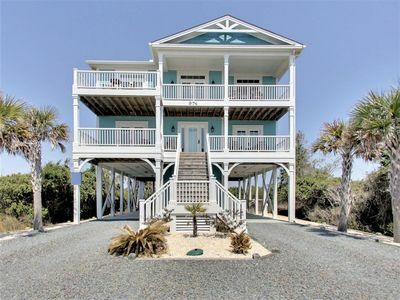 Enjoy beautiful open space inside and out at "Ocean Kiss" - 6 bedroom & 4 bathroom Oceanfront Home with unobstructed views of the Atlantic Ocean! 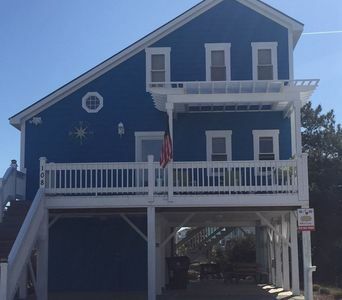 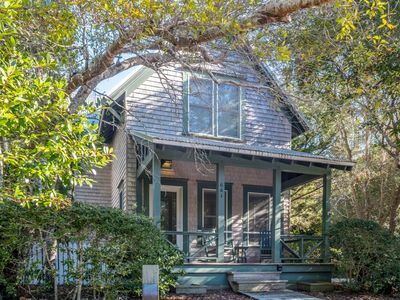 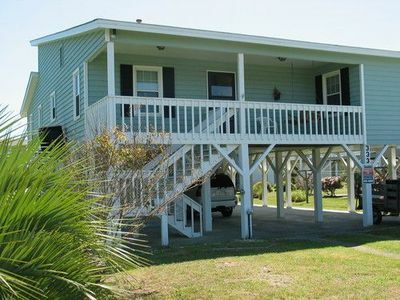 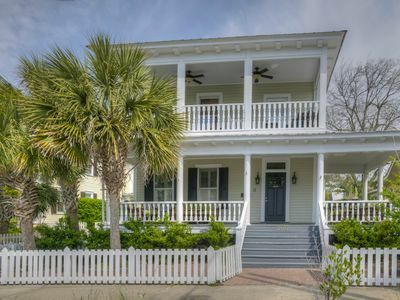 Surfman's Walk 11 is a charming 3BR/3.5BA cottage in Cape Fear Station! 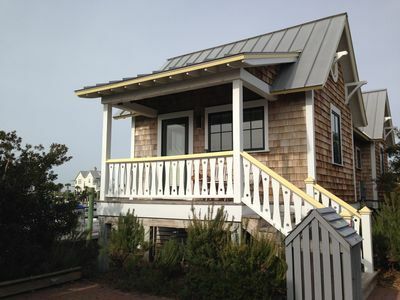 “Almost Heaven” is a peaceful and relaxing cottage at a family friendly beach.